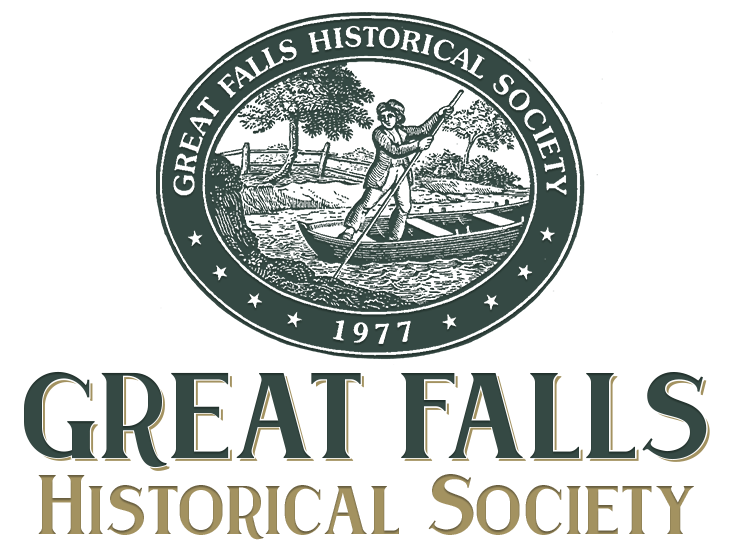 Milburn P. Sanders' "A Brief History of Great Falls"
"To feel the pulse of earth where man has trod, and for the future, keep the past." Thanks to the vital support of dedicated members and donors, the Society has succeeded in collecting, preserving and sharing the priceless evidence of our local past. Donate today using your choice of your paypal account, credit card, cash or check. IN PERSON - Pay by cash or check at the Great Falls Farmer's Market. Stop by the Society's table on Saturdays where you can also donate new or old historic photographs/artifacts, buy/renew a membership or buy unique publications and gift items. *PRIVACY STATEMENT: The GFHS is committed to the protection of your privacy. Our aim is to provide an online environment which will ensure the information you provide to us will be handled in a secure, appropriate and confidential manner. Your credit card information will not be saved by GFHS. We will require an email address as your user id to uniquely identify you and for sending you electronic Society communications, including event notices, invoices, receipts, newsletters and or publications. Your information will NOT be provided to third parties or added to other email lists. We will NOT use your email address for any purpose or disclose it other than as specifically provided for in your user privacy settings. If you believe your email address has been used inappropriately contact us immediately.